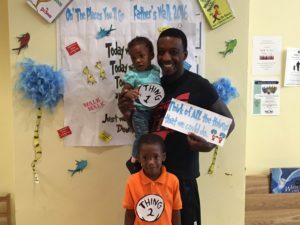 Fathers, uncles, brothers, grandfathers and other father-figures were in the spotlight today for the annual, county-wide Fathers Walk. 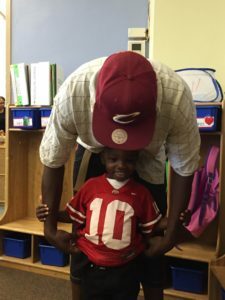 The Cuyahoga County initiative encourages fathers and father figures to take their kids to school. Schools across the county participated in the walk, including all 14 of the Council for Economic Opportunities’ Head Start Centers. 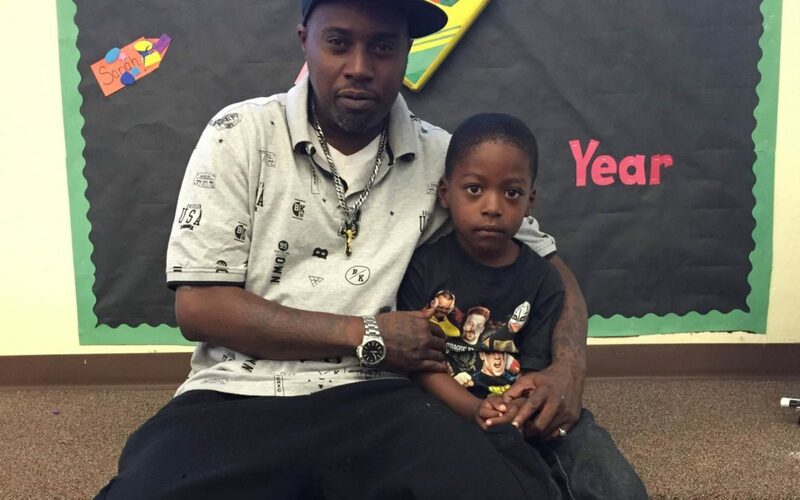 At the Outhwaite Head Start Center, the show of support from fathers was strong. “It’s really special to be a part of this,” one dad said as he kissed his son goodbye. 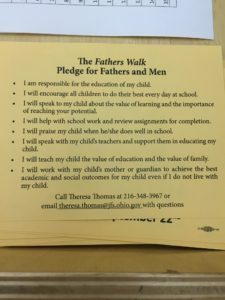 The Fathers Walk encourages men to play an active role in their kids’ education. The men who dropped off on Thursday were asked to sign a pledge, promising to support and stay involved in their child’s school year. 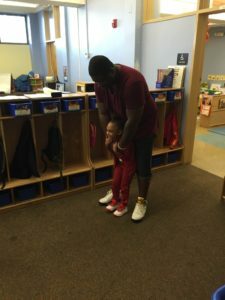 Steven Rhodes, the Site Administrator at Outhwaite Head Start Center and a father himself, says the annual event is a good way to get the whole family involved. He said he likes seeing the men committed to being an important part of their child(ren)’s life.. The kids were all smiles as their dads dropped them off at school, and they enjoyed juice and donuts with them before they had to leave. See below for more pictures from the 2016 Fathers Walk. three cheers for our awesome Dads and father-figures! James and 4-year-old Mijune at drop off.